LAHORE: Increasing by Rs590 million a day in the first five months of this fiscal, the power sector receivables have touched a phenomenal figure of Rs500 billion � exactly the amount the PML-N government had paid when it took over to clear the lingering circular debt. According to the latest figures compiled by Pakistan Electric Power Company (Pepco), these receivables stood at Rs499.631 billion at the end of November last. In the first five months of 2013, they have risen at an average of Rs17.70 billion per month. By that calculation, they must be close to Rs520 billion by end of December last year. According to the Pepco data, those receivables stood at Rs411.013 billion at the end of June, 2013. By November, they went up to Rs499.631 billion � an addition of Rs88.618 billion in five months (Rs17.70 billion a month and Rs590 million a day). 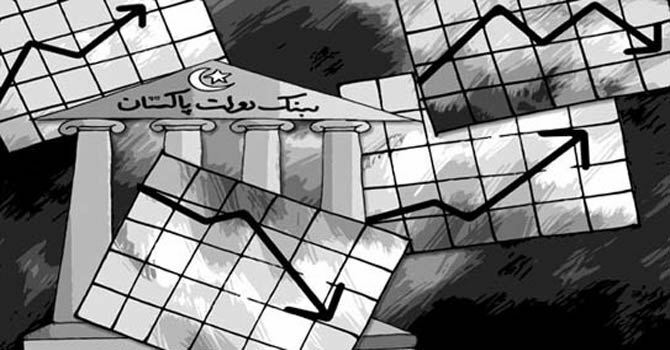 The private sector default remains the biggest problem which swelled by Rs46 billion in the five months � from Rs281.503 billion to Rs327.508 billion. It is followed by the Karachi Electric Supple Company (KESC), which saw its default increasing from Rs26.75 billion to Rs50.21 billion � an increase of Rs24 billion. During these five months, the recoveries dropped to a paltry 80.20 per cent and the remaining 19.80 per cent going into default. During the period, the sector issued bills of Rs447.40 billion, but could recover only Rs358.90 billion, with Rs88.50 billion going into default. �These digits tell the story of sectoral health, efficiency, planning and execution for the last six months,� he says. What makes this default look even pathetic is the fact that the federal and provincial governments have been carrying out a high profile dues recoveries and anti-theft campaign for as many months. The federal agencies like the National Accountability Bureau (NAB) and Federal Investigation Agency (FIA) have been part of the campaign. The district coordination officers (DCOs) are leading the drive in their respective areas. Of late, the government has strengthened anti-power theft laws, making them as prohibitive as humanly possible. But still the sector is losing Rs590 million a day on the efficiency head alone. The government paid Rs500 billion circular debt only to see its effort going down the drain with the sector losing the same amount at the altar of efficiency, he lamented. The most telling part is private default, which is a purely efficiency phenomenon, says another former head of Pepco. Out of total Rs88 billion default, more than 50 per cent (Rs46 billion) came from private consumers. Except for corruption or inefficiency, what bars the sector from recovering those bills it had issued to private consumers? Both these phenomena lie at the heart of power sector crisis, and bleeding the national economy white, he regretted.